Frustrationless Flyer Kite Kits - Easy kids kite making kits. The Frustrationless Flyer Kite Kit is a great simple to build sled kite kit for school age kids. Kit packs come complete with pre-cut parts and simple step-by-step instructions. 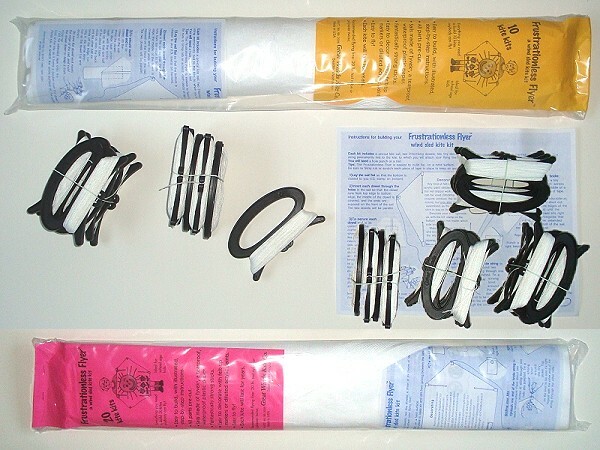 Everything you need to make kites that anyone can fly. 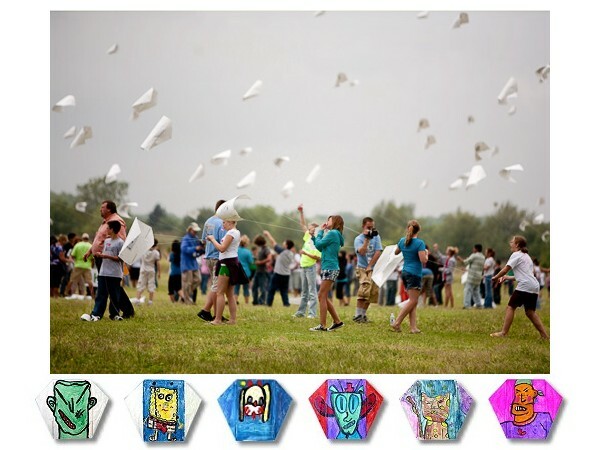 Made from Tough Tyvek ® which is easy to decorate with markers, crayons or Acrylic paints. Flying Line is "kid friendly" and recommended for the Frustrationless Flyer. The handle-style Winder is simple to use and easy for children to hold. Material: Tyvek ® & Composit Spars. Rolls of tail material available separately. Add Tails-On-A-Roll . . . $3.95 ea. - 300ft Rolls Vinyl. Cuts easy with scissors. Sticks with tape. Tails-On-A-Roll makes for a quick and easy way to add colorful tails to the Frustrationless Flyer. For 1 x 20 Pack of kites a 300ft roll will give 20 x 15ft Loop Tails, or 20 x 15ft Single Tails, or 20 x 7.5ft pairs of Twin Tails. Many combinations are possible. 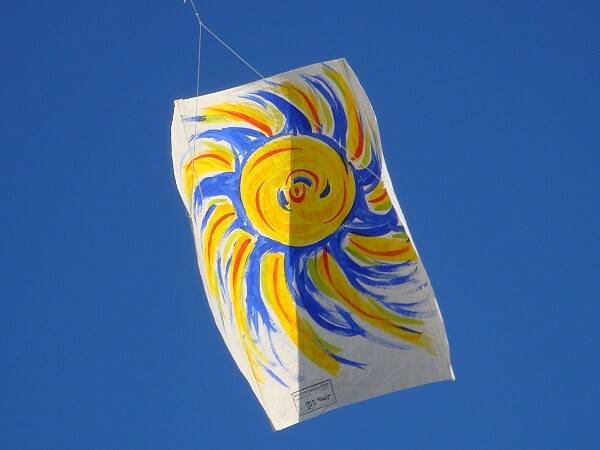 The Frustrationless Flyer is a great classroom or group project kite kit. 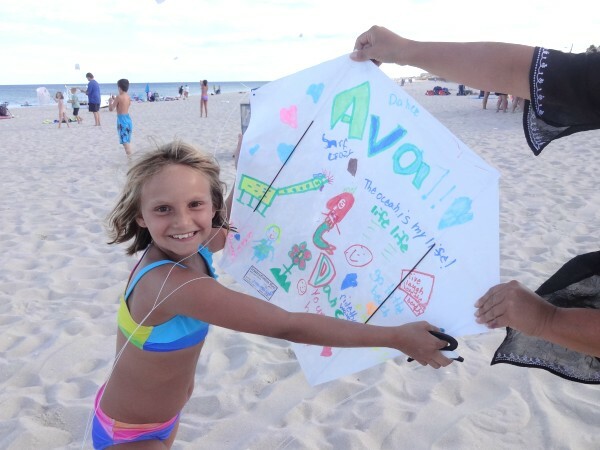 Teachers and recreation specialists will be able to introduce kids to kite flying very easily. Building goes quickly because everything is pre-cut. The kites fly best in 5 to 15 mph, an ideal wind range. The step-by-step instructions also give pointers on flying. Though these kites do not need at tail, colorful streamers can be added. Use Tails-On-A-Roll for added sky fun.